With all the options of different ʿulamāʾ and muftiyān (pl. muftī), it is really a new form of test for a questioner to keep his intention pure. Along with a pure intention, ikhlāṣ in action plays a very important role. The goal of asking a muftī a question is to find out what Allāh wants from a person in a certain dilemma. This is the crux of asking for a fatwā. By learning what the Sharīʿah demands at that specific juncture in life, a person comes to know what action he must take so that he gain the closeness of Allāh by fulfilling His orders. Hence, the intent should not only be of ascertaining what the easiest way is to score “pass” in some matter. With that in mind, a layman should find one muftī that he completely trusts with his heart and always stick to asking him. To choose this muftī, he should make sure that the muftī is academically well-read and engrossed in research enough to give him all the answers. Hence the suggestion is not just to find anyone who completed his iftāʾ course and gained the title of “Muftī”; rather, one should find someone who has continued his research and also actively issues fatāwā (i.e. answering Islāmic questions). Once a person finds such a muftī and his heart is content with him, he should stop asking multiple muftiyān and rather stick to this particular muftī. This will make his life so much easier and the focus will be shifted towards fulfilling the rulings instead of researching them and trying to find out which muftī’s opinion seems stronger. While the above is the ideal scenario, in today’s time it becomes almost impossible for one muftī to have mastery in all of the broad fields of the Sharīʿah. Hence, if one has access to multiple muftiyān, then while retaining ikhlāṣ, he can certainly take benefit from multiple muftiyān. Keeping that in mind, while all credible, Allāh-fearing muftiyān are equal for a questioner to approach for his question, there still remains a certain decorum which one should try to uphold while doing so. Remember, the only reason one is broadening one’s list of muftiyān is to seek the experts in their respective fields. For example, Muftī A may be an expert in Islāmic Finance and Technology, while Muftī B may be an expert in ʿibādiyyāt (i.e. the various elements of worship). Thus, the questioner should formulate his list of trusted muftiyān as per their field of expertise for him. Hence, the essential element is trust in one’s heart. This does not only refer to generic trust in Muftī A or Muftī B, rather it could mean one’s reliance on Muftī A in regard to the fiqh of financial issues, while reliance on Muftī B with regard to issues of ḥalāl and ḥarām in food. Now that we have so many avenues of approaching different muftiyān, I recommend that if a person cannot just stick to one muftī all together, then he should have a set group of muftiyān for specific fields. At first it may seem tedious, but remember that we are not making a huge database of muftiyān. When an issue arises, one will simply review the list to see which muftī to approach for that field. Thereafter handling the responses will become much easier. If an individual can make such a list with a single muftī upon whom he relies the most, it makes his life very easy. But just in case he has more than one muftī to approach, then he should follow the following method. Let’s assume that the questioner knows that Muftī A and Muftī B are experts in financial issues. He has complete iṭmiʾnān (peace of mind) in their decision. Then, in the field of food issues, he relies on Mufti C or Mufti D or Organization E who are experts in food science. His heart is completely content with their decision knowing that they have expertise. So now, when a question in finance comes to him, he does not need to look at C, D, or E. He knows he can simply approach A and B. Remember that the questioner already knows that his reliance is on both of them. If both muftiyān in his list of relied upon muftiyān give a unanimous answer, then he does not need to look any further. However, if one of them gives permission while the other does not, then since his primary goal of asking the question is to gain taqwā, he will follow and practice upon whichever opinion takes him closer to Allāh, i.e through taqwā. If one has more than two muftiyān in such a list, then generally taqwā would still demand to opt for the cautious view. This is why I generally do not suggest adding too many muftiyān in the mix as it only makes one’s decision making difficult. The application of this procedure demonstrates that opting for the cautious fatwā is the key. If the questioner has a question in relation to food, then let him ask C, D, and E to get their expert opinion. If their answers are unanimous, then there is no further question required. If they give differing responses between permissibility or impermissibility, then caution demands that one opts for the view of impermissibility. In this case, if the item which he asked about was in fact permissible, he would have stayed away from it out of caution and gained additional rewards from Allāh. However, if the item happens to be impermissible (i.e the muftī who gave the fatwā of permissibility erred), then the questioner would have saved himself from something impermissible. Similarly, in the case of ʿibādah, let’s say the questioner is wondering if he should repeat some act of worship he performed which he fears may have been invalidated due to some act. According to his list of relied upon muftiyān, he will only ask those whom he found to be experts in this field. If both muftiyān in his list give him a unanimous answer, then there is no other course of action to consider. However, if one muftī gives fatwā that the act of worship must be repeated while the other gave the fatwā that repeating the act is not necessary, then opting for the cautious fatwā here would mean to take the fatwā of repeating the act. This is because if the act in reality did not need to be repeated, his act would become nafl and he would get rewards for the act (i.e. performing extra worship) as well for as opting for cautious opinion. However, if it did have to be repeated, then he would have saved himself from the sin of not repeating it. Once you understand this mechanism, you will realize that the questioner’s own sincerity plays an important role. By keeping to this code, one would always aspire to be better oneself in one’s religion for the sake of Allāh. The only question that then remains is: If the taqwā position is to take the cautious view, does that mean taking the non-cautious view is still permissible? In short: Yes, it does. However, since the desire of a muʾmin is to do one’s best for Allāh, one’s aim should be to adopt the position of taqwā. Having this thought in one’s heart will always keep one yearning for the best as a questioner. However, if for some reason he is unable to do the best and does not opt for the cautious opinion, then he will still retain the desire in his heart along with regret for having lost the opportunity to gain more rewards. We hope that Allāh will still shower His blessings upon him. But at this point, the person should always remember that he has knowingly chosen the lesser opinion and those who take the better opinion have shown greater strength and love of īmān. 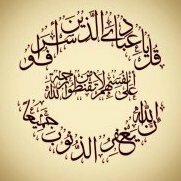 Can we follow more than one scholar in islam? There is a statement in arabic which says, "For every field has its people". While we understand that it is most safe to restrict oneself to one scholar and follow him, yet if one has access to multiple scholars then there is nothing wrong with seeking a scholar of expertise in that particular field. For example, if one has to go to a doctor, then one cannot simply stick to one General Practitioner. Instead, one will need to seek out the doctor who specializes in the field for which a medical advice is needed. Hence for a heart disease, it would not serve to seek out a neurologist. In other terms, if you are looking for guidance in food items and their halal and haram status then it would be beneficial to seek out scholars who do not only understand the fiqhi aspects of halal and haram food, but also has the ability review his judgement based on industrial practices in that field. Similarly, if you are looking for guidance in marital dispute, it will best help if you approach a scholar who specializes in mediation and dispute counseling. Do not confuse this with the issue of following only one madhab (school of methodology). There are four major schools of methodology; Hanafiyyah, Malikiyyah, Shafi'iyyah and Hanbaliyyah. It is best to restrict oneself in following one of these schools and not mix and match. To understand this restriction, revert to the same example given above about seeking out a doctor for medical guidance. While you choose specific specialists to guide you in your medical diagnosis, you stick to the same methodology of medicine. If you choose a mode of medical treatment such as allopathy (general secular medical treatments) for your ailment, then you do not mix it with homeopathy or acupuncture medicine. Similarly, if you have chosen to follow one of four schools in fiqh, then it is equally detrimental to mix and match for your soul as it would be to mix and match medical treatments for your body. So while within the hanafiya school, you may choose different scholars based on their expertise or base on your reliance on those scholars within the hanafiya school.